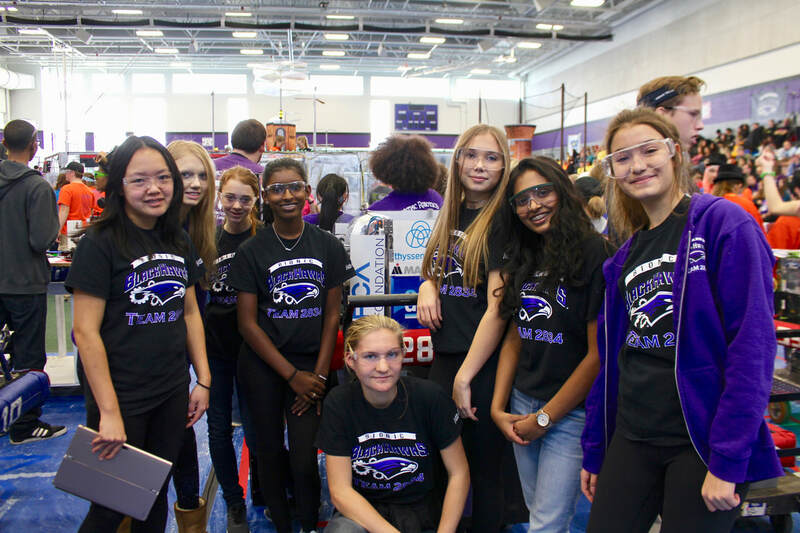 ​The Bloomfield Girls Robotics Competition will take place November 10, 2018 at Bloomfield Hills High School. The event is presently full. Please contact team2834@gmail.com if you are interested in this event, want to be on the wait-list for this year, or the mailing list for the future. The Bloomfield Girls Robotics Competition is co-hosted by Teams 33 (Killer Bees), 68 (Trucktown Thunder), 469 (Las Guerillas), and 2834 (Bionic Black Hawks).